The elegance, sophistication and quality for which Spago is famous continues to set the standard for other upper echelon Los Angeles restaurants. 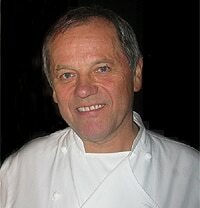 And around the world, chefs look to Wolfgang Puck and executive chef Lee Hefter for inspiration. In this town of glitz and glamour, where even the biggest stars see their fame fade, Spago Beverly Hills remains the consummate celebrity.